THIS BLOG WAS WRITTEN BECAUSE NO ONE WANTED TO HEAR ABOUT THE WOUNDED IN OUR MIDST. IT WAS NEVER SPOKEN ABOUT. SO I DECIDED TO WRITE ABOUT THESE FORGOTTEN AND FOUND THAT THERE WERE MORE TOPICS, THAN I EVER EXPECTED, WHEN I BEGAN TO WRITE. HOPEFULLY SOMEONE WILL CHANGE THEIR HEARTS ABOUT THESE WRITTEN ABOUT IN THIS BLOG. BELOW IS MY FIRST TALK WRITTEN ABOUT WOUNDED IN OUR MIDST. THIS TALK WAS NEVER GIVEN BUT NEEDS TO BE READ. To every wound that was afflicted upon, I will pour the sweet fragrance of my grace. It astonishes me the invisible crosses we all carry. If we take them to Jesus, He will take them from us and He removes the scars. How can we be Jesus to those who are suffering? In this scripture from John, the religious leaders were publicly showing Jesus this woman’s terrible sin of Adultery, and at the same time they were trying to catch Jesus, so they could accuse him. Jesus ignored them. Jesus knew what they were doing. This woman was being condemned to death for adultery. No one cared why she was sinning; it was the law and a good excuse to hurt two people. It is said that Jesus wrote the sins of the leaders in the sand. The scripture does not say this but it makes sense to me. The Religious leaders all left one by one. Jesus healed her by removing all condemnation and he did not accuse her either. She was told to sin no more. What a great example for us. Do not listen to condemnation and gossip, but show compassion and forgiveness with gentleness to the accused. Spend time with them and listen to the Holy Spirit on how to respond. The Holy Spirit will show you how to heal with words of forgiveness. This will heal the wound that is causing the sin. he left Judea and returned to Galilee. He had to* pass through Samaria. Jacob’s well was there. Jesus, tired from his journey, sat down there at the well. It was about noon. [The woman] said to him, “Sir,* you do not even have a bucket and the cistern is deep; where then can you get this living water? The woman said to him, “Sir, I can see that you are a prophet. Jesus said to her, “Believe me, woman, the hour is coming when you will worship the Father neither on this mountain nor in Jerusalem. You people worship what you do not understand; we worship what we understand, because salvation is from the Jews. But the hour is coming, and is now here, when true worshipers will worship the Father in Spirit and truth; and indeed the Father seeks such people to worship him. Do you not say, ‘In four months* the harvest will be here’? I tell you, look up and see the fields ripe for the harvest. The reaper is already* receiving his payment and gathering crops for eternal life, so that the sower and reaper can rejoice together. When the Samaritans came to him, they invited him to stay with them; and he stayed there two days. Hatred between Jews and Samaritans was fierce and long-standing. In some ways, it dated all the way back to the days of the patriarchs. Jacob (or Israel) had twelve sons, whose descendants became twelve tribes. Joseph, his favorite, was despised by the other brothers (Gen. 37:3-4), and they attempted to do away with him. But God intervened and not only preserved Joseph’s life, but used him to preserve the lives of the entire clan. Before his death, Jacob gave Joseph a blessing in which he called him a “fruitful bough by a well” (Gen. 49:22). The blessing was fulfilled, as the territory allotted to the tribes of Joseph’s two sons, Ephraim (“doubly fruitful”) and Manasseh, was the fertile land that eventually became Samaria. Later, Israel divided into two kingdoms. The northern kingdom, called Israel, established its capital first at Shechem, a revered site in Jewish history, and later at the hilltop city of Samaria. In 722 B.C. Assyria conquered Israel and took most of its people into captivity. The invaders then brought in Gentile colonists “from Babylon, Cuthah, Ava, Hamath, and from Sepharvaim” (2 Kin. 17:24) to resettle the land. The foreigners brought with them their pagan idols, which the remaining Jews began to worship alongside the God of Israel (2 Kin. 17:29-41). Intermarriages also took place (Ezra 9:1-10:44;Neh. 13:23-28 ). Meanwhile, the southern kingdom of Judah fell to Babylon in 600 B.C. Its people, too, were carried off into captivity. But 70 years later, a remnant of 43,000 was permitted to return and rebuild Jerusalem. The people who now inhabited the former northern kingdom—the Samaritans—vigorously opposed the repatriation and tried to undermine the attempt to reestablish the nation. For their part, the full-blooded, monotheistic Jews detested the mixed marriages and worship of their northern cousins. So walls of bitterness were erected on both sides and did nothing but harden for the next 550 years. Jews had no dealings with the Samaritans. With whom do you have no dealings? Notice in the first chapter that Jesus moved on because of gossip. Jesus knew that the Pharasees were building a case against him and he must move as quickly as possible to reach as many as possible. Gossip kills God’s plans. Prejudice is always based on and handed down from generation to generation from myths that have no truth. Jesus came to show us how to be open to everyone even the downcast of society. The outcast and the most unlikely to be special to God, Jesus called into ministry. The woman at the well is a good example of Jesus reaching into her heart and healing her. When she was healed she went into the town and brought them all to see Jesus. Jesus stayed there for 2 days. That kind of acceptance delivers those who are persecuted. Persecution brings low self esteem and guilt. If we believe what people say about us, the devil will take us on a path to destruction. If we share with the wounded in our midst, how much God loves them, they will receive the life giving water Jesus has for them. They will then go forth and share the GOOD NEWS THAT GOD LOVES THEM. Lets talk about a wound. Sometimes it is on the outside or inside. The outside wound can be seen and usually heals easily. The inside wounds are not able to be seen and can take years to heal or never heal. It causes pain in the beginning and then it heals but it leaves a scar. The deeper the wound the longer it takes to heal and the bigger the scar. It has to be covered and protected so that it does not get infected. It will take lots of care. It is the same with our being wounded in life by hurtful situations. Look at times when you have been hurt deeply. It is just like an open wound in your spirit. This must be tended and cared for carefully with lots of prayer and patience waiting for your healing. It is times like this that we must stay away from negative words, and negative influences that keep the wound from healing. Surround yourself with those who have healing words. To prevent a scar, read Gods word and frequent the Eucharist. The sacrament of reconciliation is where miracles and graces occur. “She meant to say those words.” “ He meant to plot against me.” “ They meant to bring you down.” And “I will never be the same.” “I will suffer with this for the rest of my life.” “ I will not go back to any church.” “I will be possessed for the rest of my life by the pain.” And their pain becomes bitterness. Do you know anyone like that? Or Is that your story? Are you the victim of a wound inflicted by someone you love? How do you respond to these people if you do not understand their bitterness? Do you reject them and never speak to them again? Matthew 12: 20 says “Gentle is the one who does not break a crushed reed or snuff a faltering wick.” Being sensitive that the wound is still not healed will help us to be careful with kind words and very sensitive to their pain. Henri Nouwen says, “Gentle is the one who is attentive to the strengths and weaknesses of the other and enjoys being together more than accomplishing something.” A gentle person treads lightly, listens carefully, looks tenderly and touches with reverence. A Gentle person knows that true growth requires nurture, not force. Let’s dress ourselves with gentleness. In our tough and often unbending world our gentleness can be a vivid reminder of the presence of God among us. Who are the wounded in our midst? They are the 50,000 soldiers who have come home from Iraq and Afghanistan to their families. These are just a few of the wounded in our midst. The world says they deserve it. Jesus paid a high price for them to be forgiven. ‘Father forgive them for they know not what they do.” We must keep this very same attitude. One way is by prayer and fasting for all the hurting in the world. Our Lady and the Saints will help us in prayer. 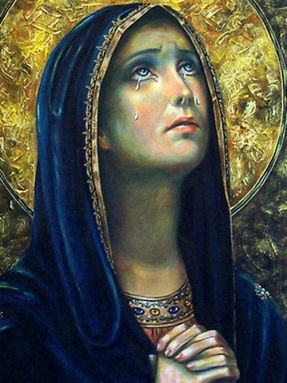 If you do not know which Saint to pray to for a specific wound, Our Mother Mary is a wonderful advocate for all. St. Francis de Sales writes about fasting below. It is a wealth of knowledge on different suggestions on fasting. The scripture says that some situations require us to fast and pray for a breakthrough for healing of serious sin. feast on unity of life. feast on the reality of Christ’s light. feast on compassion for others. feast on enthusiasm and zeal. feast on truths that uplift. feast on prayer that strengthens. Saints are also a wealth of inspiration on how we should treat everyone. Many people followed Saint Francis and he was able to rebuild a failing Catholic Church. Here is what he has to say about our grave responsibility as Christians to our fellow man. “Wow”, going in search of obstinate ones. Isn’t it easier to be with those who think the same as we do? In searching we must go out and look for the souls that are not quite what we look for in our friends. Yet we have been commissioned as Christians by our Lord Jesus Christ to go into all nations and spread the good news. 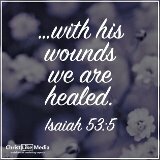 That is that, God loves us so much that he gave his only Son to die for our sins. This is a big responsibility. 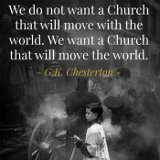 We Christians are so needed now to respond to the Wounded in Our Midst with love. I know that you are thinking, where would I even start . We all have gifts from God. It is good for you to make a list of how you help those wounded in your life. You will see a recurring theme. This is your gift. In the morning when you wake up look into the mirror and say Jesus loves you and wants you to know how beautifully and wonderfully made your are by His Father, and how much he needs you here on earth. No one else can do what he made you to do. If you go forth you will receive divine help in ways you could never imagine. I feel your pain. My heart is filled with all your sorrow. I grieve with you. You are not alone. I miss nothing and know all the daily trials. I am waiting to help. Please don’t forget me. You need my strength and guidance to have victory in your life. Remember me and I will give you victory in every circumstance of your life. Come to my Fathers house to be renewed. Give me your time. Do not put off moving forward in the Holy Spirit. Do not fear. Make the first step and I will do the rest. I have sent my angels to prepare the way for you. Give me your all and strive for Holiness. Trust Me! Jesus, I give you our deep hurts that you will make us strong. Remove the self-pity and give us courage and boldness. Strengthen us with your love. Show us that your friendship is all we need in our lives. When we are rejected remind us you were too. When we fall carrying our cross remind us you did too. Help us see that we are never alone. Then help us to see other pain and help them through it by our loving friendship, kind words, and prayer support and fasting to set them free. In Jesus name we pray.